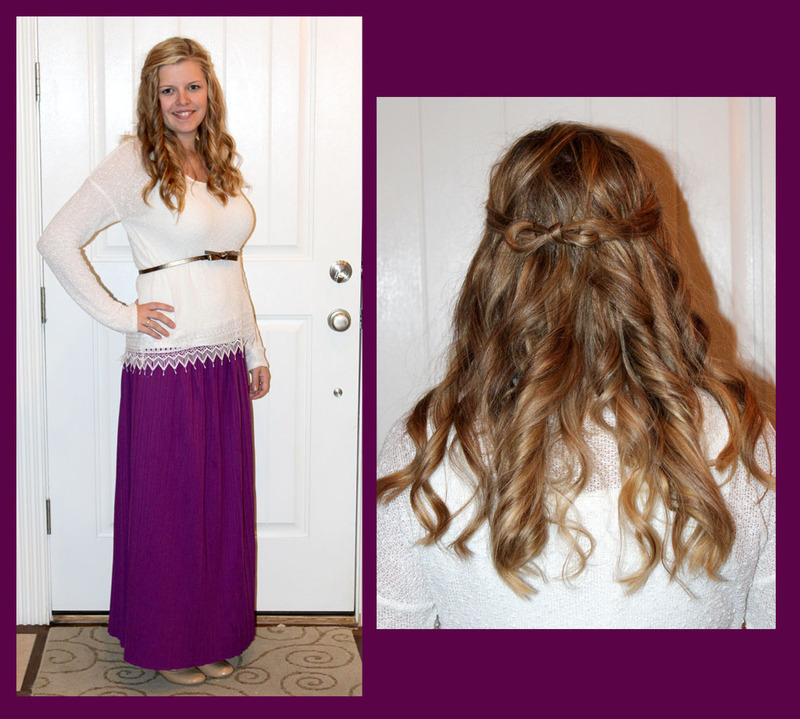 Found this little lace bottom shirt at Fred Meyers and paired it with a purple maxi skirt I got from Amazon and added a little gold/bronze belt. For my hair I tried something different by having it curly then tying the front pieces into a bow in the back securing it with bobby pins. I saw this hooded tribal sweater on Groopdealz one morning and decided that it looked like something that should be in my closet. It is so comfortable and easy to dress up or down, I am glad I bought it. 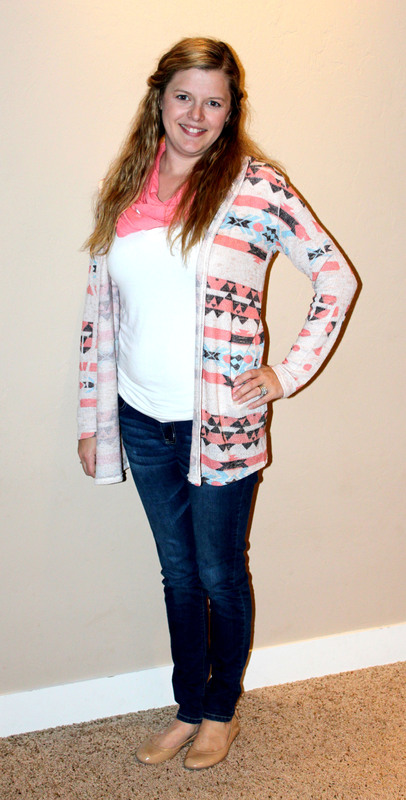 I paired it with a simple white t-shirt and skinny jeans, but added a thin coral infinity scarf to it just to tie in the color and add something. 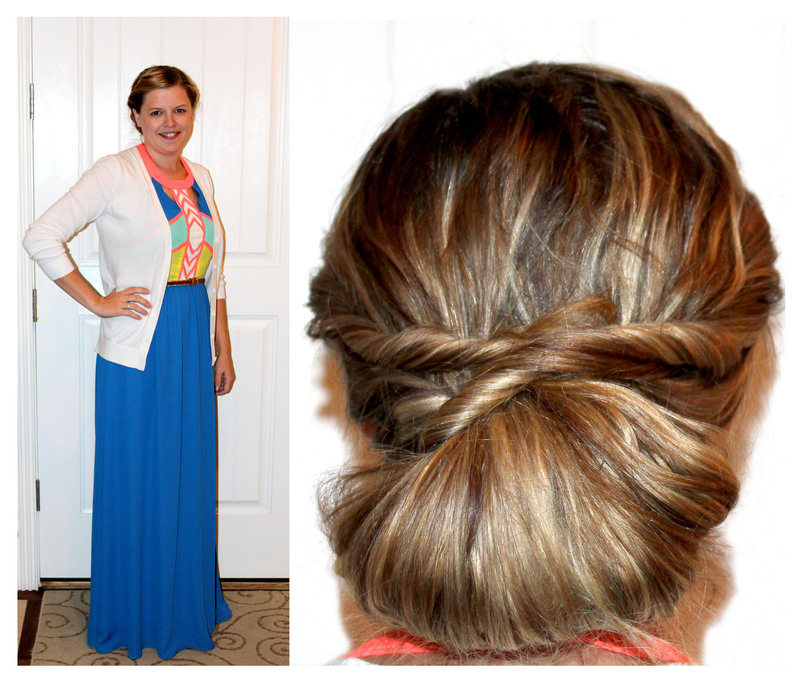 Perfect outfit for teaching on a busy day! This entire outfit, besides the shoes, I have had in my closet for the longest time and just never pull it out to wear it. Not sure what it is with vests but sometimes they are so cute, I just feel like it takes a lot of work on my part to pull it off. So if I remember right both the shirt and the vest are from Maurice’s. The shoes I got from zulily, they are purple with pink polka dotted Toms…who can go wrong with that combo??? Found these pants on the sale rack at Macy’s, they are the Masion and Jules brand that I love. 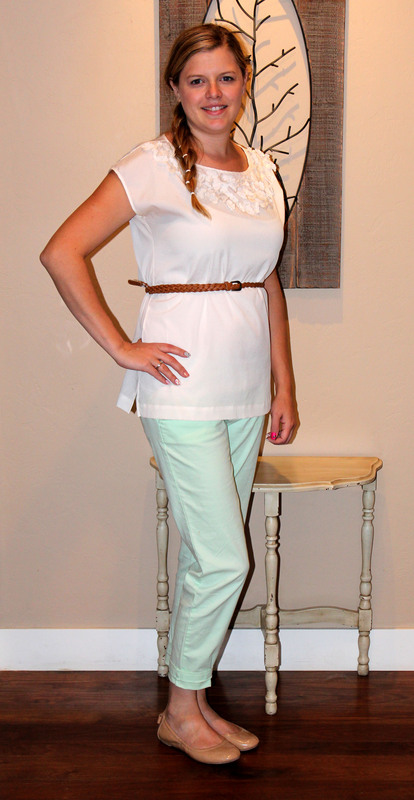 Comfortable and mint! The top is something I have had for a while now, I believe its from Forever 21. Love the flower detail on it and after baby it was a good shirt to cover baby weight, now I just belt it and its still cute. I will have to do a close up of my hair, or maybe a tutorial… Saw the hair style on Pinterest and its a fun, quick way to get my hair done in the morning. Saw this outfit on The Nest on Main and just had to have it!!!! www.thenestonmain.com, here is the owl shirt, and here is the cardigan. Love this online shop, wish I could go to Utah to see the store in person!!!! 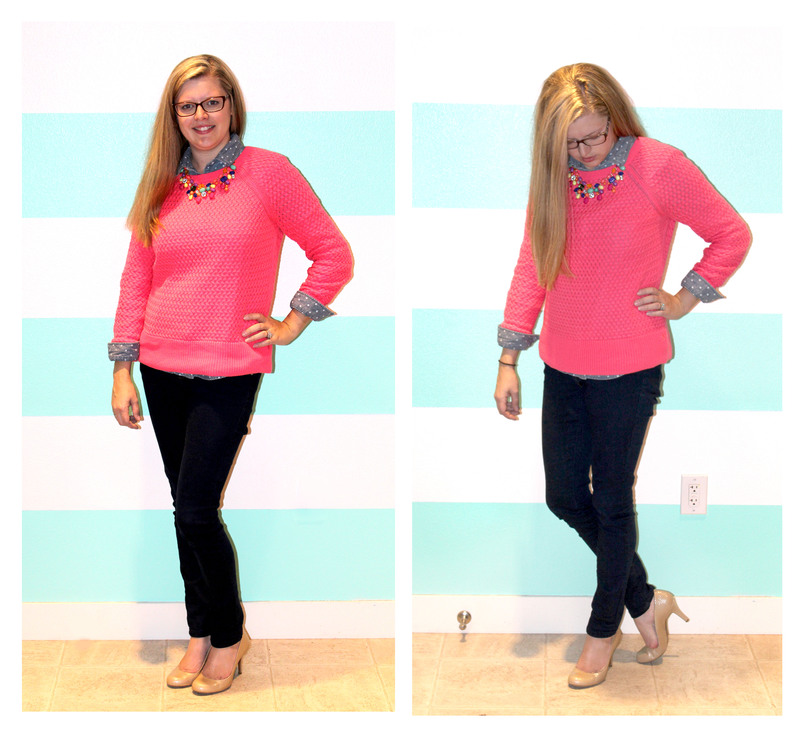 Paired the cute tops with my favorite shoes and a pair of skinny jeans. Decided to wear my hair curly and the rhinestone headband “hippy style” and actually got quite a few complements.